BEVERLY HILLS CA--(Marketwired - October 08, 2015) - Genius Brands International "GBI" (OTCQB: GNUS), the global content and brand management company dedicated to providing entertaining and enriching 'content with a purpose' for toddlers to tweens, announced today that KID GENIUS, its new children's entertainment video on demand channel, is now available to approximately 21 million households across the U.S. through Comcast's (NASDAQ: CMCSA)(NASDAQ: CMCSK) Xfinity On Demand platform. 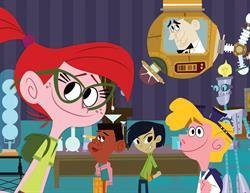 The free on-demand service rolls out with GBI's innovative, original animation series, including Thomas Edison's Secret Lab, Stan Lee's Mighty 7 and Secret Millionaires Club alongside award-winning Baby Genius content and classic children's series such as Where on Earth is Carmen Santiago and Dennis the Menace. For more information visit www.kidgeniustv.com. "KID GENIUS is a tremendous free resource for parents in the 21 million homes it reaches initially through Xfinity On Demand as it is an easily accessible, definitive source for quality children's content any time of day or night," explained GBI's SVP, Global Distribution Sales Andrew Berman. "We have sought out content that is complementary to GBI's content with a purpose mission to ensure that we are engaging as well as entertaining our young viewers and imparting valuable lessons delivered in fun, adventurous situations by endearing characters. We believe kids will want to watch these programs and parents can feel good about allowing their kids to enjoy them." The advertising-supported KID GENIUS on demand content includes original GBI series Secret Millionaires Club and Thomas Edison's Secret Lab. Secret Millionaires Club, created in partnership with and starring an animated Warren Buffett, features a group of kids who have adventures in business and empowers kids by helping them understand the world they live in and how their decisions impact their own lives while teaching them to have the confidence to be the best they can be. The series makes it fun for kids to learn to think like entrepreneurs. 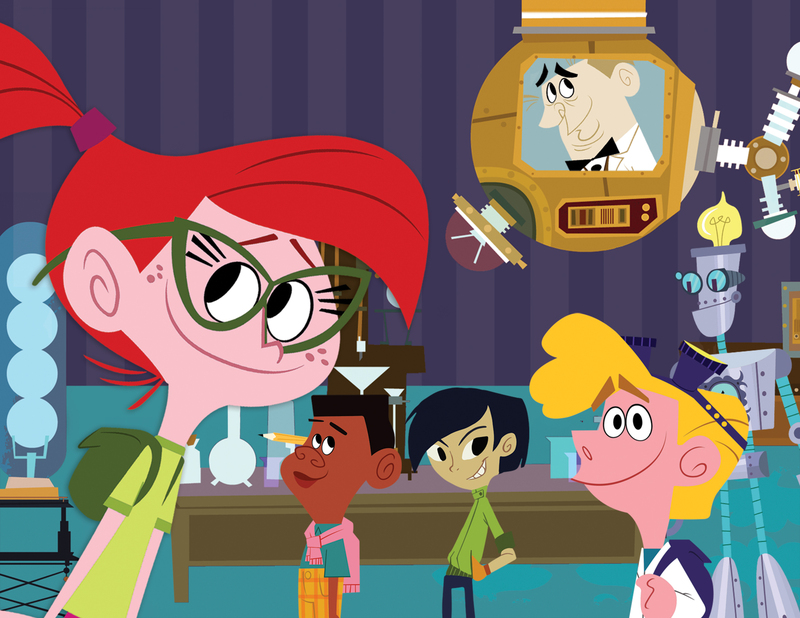 Thomas Edison's Secret Lab, an imaginative, animated series follows Angie, a 12-year-old prodigy, and her young science club who discover the scientist's ultimate dream lab equipped with everything they could ever imagine, including two of Edison's very last inventions: a hologram that brings Mr. Edison himself "to life," and a whacky robot called Von Bolt. In each of the series' 52 11-minute episodes, Edison, in hologram form, encourages and inspires kids through an immense variety of scientific and technological explorations, including physical science, live science, earth science, space science and lots of other fun, whacky, wild and engaging topics. ABC Monsters, the magical adventure preschool series, features 26 cuddly ABC Monsters who live within the walls of Capital Castle. Each monster represents a letter of the alphabet, but should any of the monsters go missing for longer than a day, all the letters will be wiped clean from every book in Capital Town, so it's very important to make sure that all the ABC Monsters are safely back in Alphabet Gardens before the sun goes down. However, this isn't as easy as it sounds as ABC Monsters are curious and happy creatures that tend to wander off from Alphabet Gardens and get lost. In each adventure, Alice and her good friends Brian and Cherry Berry must search high and low for one of the missing ABC Monsters. This spellbinding series of magical adventures aims to engage preschoolers' imaginations while making learning exciting and entertaining. Dennis the Menace, based on the classic comic strip created by Hank Ketcham, captivates young viewers with stories of how Dennis' curiosity, escapades and well-meaning ways usually lead to trouble; and usually on the receiving end is neighbor and retired postal worker George, who just wants to be left alone. Dennis is accompanied by friends Margaret, Tommy and Joey and faithful canine companion Ruff, who often find themselves involved in all kinds of wild adventures, including international espionage and trips into history. Gumby, the timeless, innovative, stop-claymation series created by Art Clokey, which aired from the 1950s through 2001, has been fully remastered and will delight young viewers with its unusual characters, from the humanlike but green Gumby and his horse friend and sidekick Pokey, to Goo, the blue mermaid; Prickle, the yellow dinosaur; Nopey the dog; the Blockheads, who sometimes chased after Gumby and his pals, and Gumby's parents, Gumbo and Gumba. Where on Earth is Carmen Sandiego?, the Daytime Emmy Award-winning and multiple Daytime Emmy Award-nominated series, features the world famous super-thief Carmen Sandiego who travels all over the globe in search of famous artifacts to steal. Teenage ACME detectives Zack and Ivy are on a quest to capture Carmen as she tempts them with encrypted clues about her whereabouts and the object of her interest. Zack and Ivy must use their knowledge of geography and world cultures to keep up with Carmen and her henchmen. Check out the Kid Genius Channel trailer on YouTube. Comcast Cable is the nation's largest video, high-speed Internet and phone provider to residential customers under the XFINITY brand and also provides these services to businesses. Comcast has invested in technology to build an advanced network that delivers among the fastest broadband speeds, and brings customers personalized video, communications and home management offerings. Comcast Corporation (NASDAQ: CMCSA)(NASDAQ: CMCSK) is a global media and technology company. Visit http://www.comcastcorporation.com for more information. Headquartered in Beverly Hills, California, Genius Brands International "GBI" (OTCQB: GNUS) is a publicly traded global brand management company that creates and licenses multimedia content for toddlers to tweens. Led by award-winning creators and producers CEO Andy Heyward and President Amy Moynihan Heyward, GBI creates "content with a purpose," meaning content that is as entertaining as it is enriching. GBI's growing library of content includes the award-winning Baby Genius, Warren Buffett's Secret Millionaires Club, Thomas Edison's Secret Lab, Llama Llama, from the NY Times bestselling children's book franchise, and Stan Lee's Mighty 7, the first project from Stan Lee Comics, a joint venture with legend Stan Lee's POW! Entertainment. A Squared Entertainment, a wholly owned subsidiary of Genius Brands International, is a brand management and licensing company that represents third-party properties across a broad range of categories in territories around the world. The company currently represents Psycho Bunny, a luxury apparel line; From Frank, a humor greeting card and product line; and Celessence Technologies, the world's leading microencapsulation company. Forward Looking Statements: Certain statements in this press release constitute "forward-looking statements" within the meaning of the federal securities laws. Words such as "may," "might," "will," "should," "believe," "expect," "anticipate," "estimate," "continue," "predict," "forecast," "project," "plan," "intend" or similar expressions, or statements regarding intent, belief, or current expectations, are forward-looking statements. While the Company believes these forward-looking statements are reasonable, undue reliance should not be placed on any such forward-looking statements, which are based on information available to us on the date of this release. These forward looking statements are based upon current estimates and assumptions and are subject to various risks and uncertainties, including without limitation those set forth in the Company's filings with the Securities and Exchange Commission (the "SEC"), not limited to Risk Factors relating to its business contained therein. Thus, actual results could be materially different. The Company expressly disclaims any obligation to update or alter statements whether as a result of new information, future events or otherwise, except as required by law.